Packaging Design Corporation has been and industry leader in custom branded packaging, custom branded point of purchase displays, custom retail packaging, display packaging, E-commerce subscription packaging, and much more. We have nearly a half of a century of experience in the industry and know how to make your packaging and displays stand out. 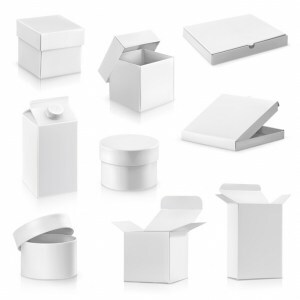 Here at Packaging Design Corporation, we understand that your product’s retail packaging is more than just a box. Your custom retail packaging should inform your consumers about what’s inside while being able to catch their attention in an aisle full of retail boxes. Your message should be relevant to your product while reaching your audience. And most important, your packaging should protect your product. To get to know more about our retail packaging design and development or if you have any questions regarding our other products and services, don’t hesitate to give us a call at 630-323-1354 today. You can also reach us by filling out the contact form located on this page and one of our helpful associates will return your inquiry shortly. Your retail packaging should be just as unique as your product. As shoppers browse through the aisles of stores, they are judging an item by what they can see from the outside. Our design team specializes in creating compelling images that are sure to draw their attention and help your product stand out. Including messaging on your package will help set you apart from the competition as well and it will inform potential consumers about what your brand and product is all about. Packaging Design will work closely with you to ensure that your input is included in our design process and product packaging services. Our designers have the marketing experience, the artistic talent, and the industry knowledge to deliver a great looking custom retail package. For more information on our retail packaging services or if you have any questions, don’t hesitate to call us at 630-323-1354 today. Or you can fill out the contact form on this page and we will respond shortly.